Pioneer milk base gelato producer in Sri Lanka, Carmello introduced its latest product as an alternative to existing ‘Ice Packets’ in the market which are mostly produced without good manufacturing practices, with water and artificial flavours. 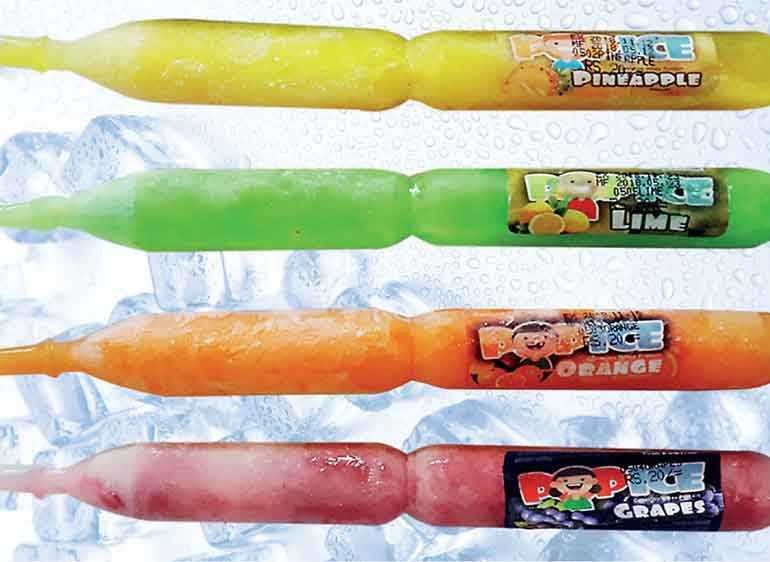 ‘Carmello Ice Pop’ which is enhanced by addition of whey protein produce in 80ml packs, consists of energy and protein, and comes in lime, pineapple, orange and grape flavours, giving a rich palatable texture as a result of being enriched with whey protein that provides lactose, protein and high content of minerals. Their intention is to introduce it to the market as an alternative to low quality uncertified ice packets which harm the health of children. Carmello Ice Pop is tested at ITI for its contents and is a newly developed natural product with the assistance of National Science Council research grant provided to Lili Cheese which is a sister company to create innovative products using whey protein. Chairman Sunil Rodrigo is an experienced dairy technologist in the country and he says along with the grant received by National Science Council of Sri Lanka to carry out research and development towards innovative nutritious products, especially for the children and youth, there are a few more new products that are being lined up to be introduced in the very near future to enhance the need of quality natural nutritious whey protein added products to meet the demand at affordable prices. Ice Pops are being priced at Rs. 20, produced under the Carmello brand name which gives Sri Lankan customers the true taste of dairy natural gelato made out of milk and fresh milk using 100% natural ingredients like blueberry, pistachio, almond and around 20 varieties of natural low sugar gelato under the Carmello brand name which has become already branded and popular for high quality and taste. They intend to create opportunity for entrepreneurships as distributors of their product range. Visit www.gelato.lk for more information.